for christmas this year, ryan's parents bought me christina lane's dessert for two cookbook. all of the recipes are miniature sized which makes them perfect for times when you want dessert but you don't want a whole ginormous amount of something. the first recipe that we made from the cookbook was a six-inch chocolate cake with peppermint frosting for my birthday in january. since then, i have been excited to make another recipe from the book. for our little super bowl party on sunday, i wanted to make brownies for dessert, but i didn't want a whole bunch of brownies sitting around all week tempting us to eat them. i turned to the cookbook and found a recipe for a small batch of brownies. perfect! 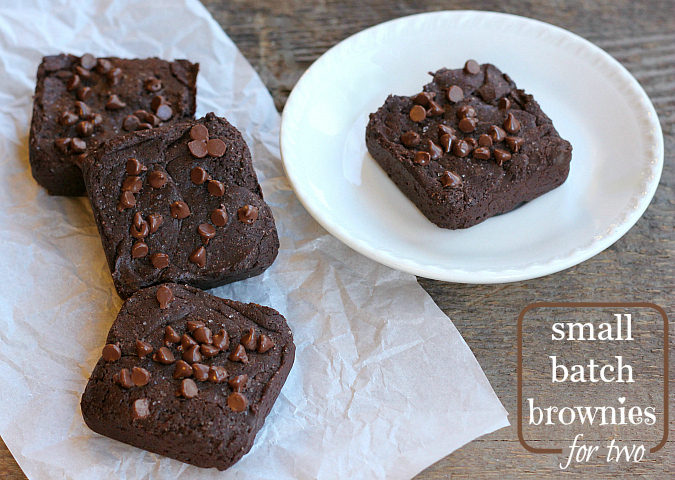 the recipe suggests using a loaf pan to bake the brownies and then cutting them into two. instead, i baked the brownie batter in my brownie pan which was perfect because it made 4 individual brownies. these brownies are classic old-fashioned style brownies. just like the brownies i remember growing up enjoying as a kid. they have a wonderful chocolate flavor and are not too sweet at all. i added a few mini chocolate chips to the top and sprinkled a few flakes of sea salt over the top to give them a little extra piazza. 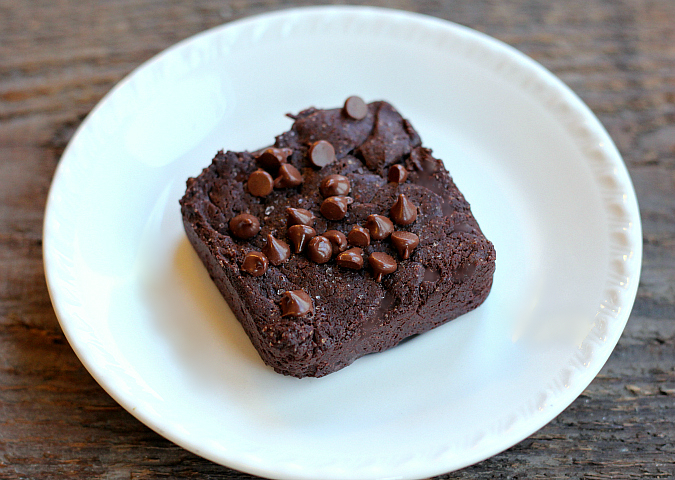 this recipe is wonderful for those times when you are craving brownies but you don't want to feel guilty about making an entire batch of brownies. it's down right dangerous how easy this recipe is to make! 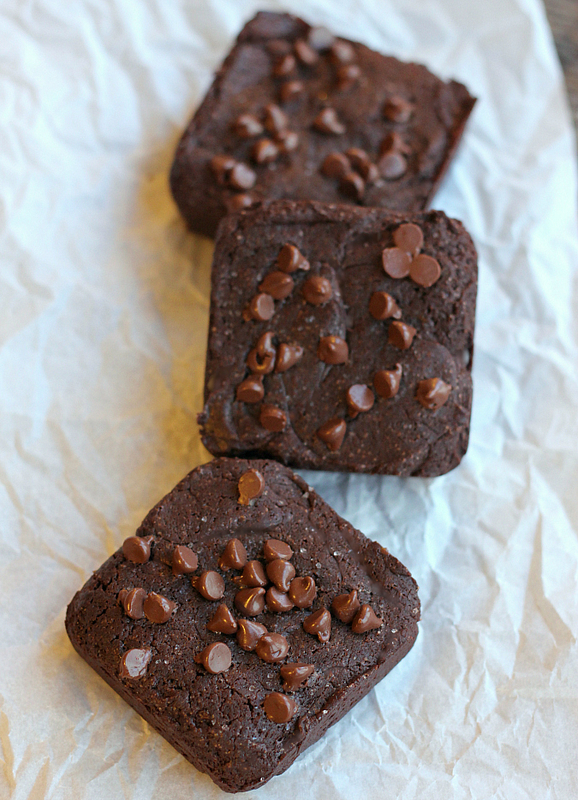 go ahead and make you and your sweetie some brownies this weekend for valentine's day! preheat your oven to 325 degrees F. in a microwave-safe bowl, combine the butter, sugar, and cocoa powder. microwave for 30 seconds, then stir to combine. microwave for another 30 seconds, then stir well to cool the mixture. stir in the vanilla. add the egg and stir until incorporated. add the flour and stir well until incorporated. spread the batter evenly in a loaf pan lined with parchment paper, or divide the batter among 4 cups of a brownie pan or a muffin pan. top with mini chocolate chips and sprinkle with sea salt. bake for 15-20 minutes, or until a toothpick inserted into the center comes out clean. These look yummy and I like the idea of the small batch because I end up eating all of the leftovers. I have to try these!!! They look delicious. I have not had a brownie in a while. Small batches would be ideal for us.